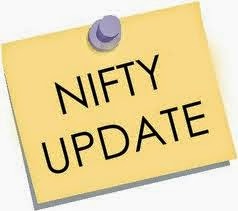 Nifty flat on today at 6796.40, under pressure of pharma, auto, fmcg and IT share , m&m, sunpharma, dr reddy, lupin, ranbaxy labs, infosys, tech mahindra, apollo tyres, hero moto corp top losers. Advice : buy on dips 6780 upside should be 6850 . Rupee become positive at 60.11, as well US and Europ market open positive trend.